The Government of India (GoI) has tightened the belts to fight against the issue of Black Money. Several reforms have been introduced lately to nab those who have been channelising their unaccounted resources through different means. One of the most vital reforms in this series is – The Benami Transactions (Prohibition) Amendment Bill, 2015. This bill is the amendment to the original Benami Transactions Law, 1988. 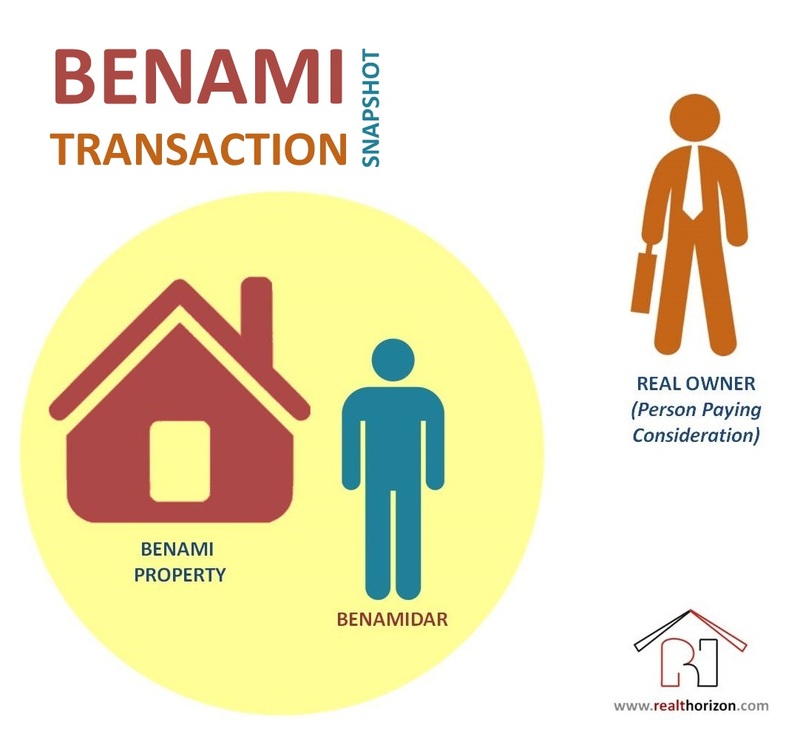 Any property transaction in which the property is registered in the name of one person & its consideration/payment is provided by another person. The ‘property’ can be any movable/immovable asset including even gold & financial securities. The person in whose name the property is registered is termed as ‘Benamidar’. To add to it, a Benamidar may or may not be a real person. It may simply be a fictitious person or a real person unaware of the ownership of the property. Have a look at the snapshot below for better understanding. In such cases, directly or indirectly, the real beneficiary is the person making the payment. A person in the name of his/her immediate family including children & spouse. But the consideration should have been paid by know sources of income of family. A member of Hindu Undivided Family. Here also the source of income should be known. A person in the fiduciary capacity for a trust. Initiating Officer: Initiates the notice against a person, he believes is a benamidar. He may hold the property for up to 90 days & collect all the related necessary documents/evidence from the benamidar & other sources. 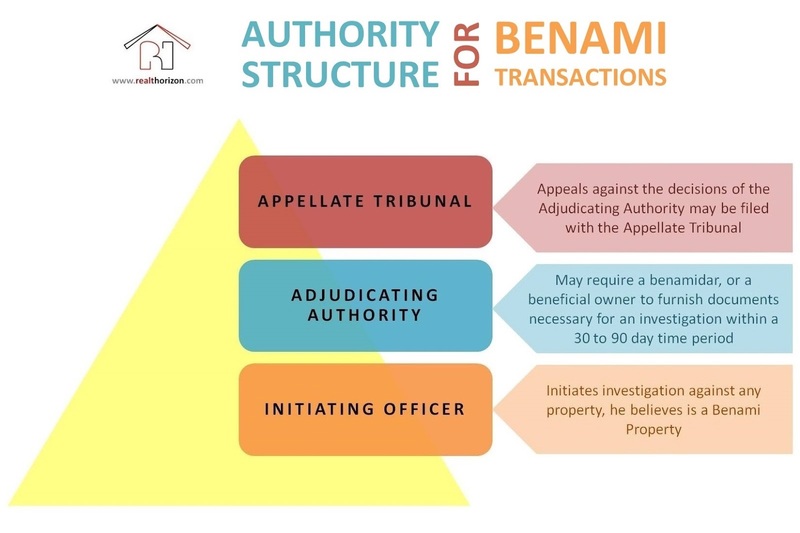 Adjudicating Authority: Based on the documents & evidences collected by the Initiating Officer, the Adjudicating Authority will pass an order whether to confiscate the property or release it. Appellate Tribunal: Any appeals against the orders of Adjudicating Authority can be made to the Appellate Tribunal. Any appeals against the Appellate Tribunal can be made to the High Court.